Here’s a quick explanation of how 3D printing sacrificial cores works. It all starts with the end-use part, say a carbon-fiber turbo inlet tube for a car, being designed in 3D CAD. The hollow part is then filled in the CAD system to make a solid core model. It’s this core as a mold—not the end-use tube—that we will 3D print. Our core CAD model is now 3D printed in a soluble material. If you’re familiar with FDM printing, you’ve probably already guessed that we can simply use the “support” material for the model itself. Typically, support material is used during printing to support overhangs, but then gets dissolved away after the part is removed. Here, we actually keep the support material, because it’s our mold for wrapping in carbon fiber. It’s as easy as clicking an option in the FDM printer software! You can choose a solid mold fill, or sparse for faster printing and quicker removal. So our 3D printed soluble core part is now printed and ready for composite layup and curing. What’s great about the 3D printed core is it can have complex geometry that would be difficult or impossible to create using traditional core methods. After the carbon fiber (with the 3D printed core inside) is cured, the soluble core is dissolved away. The result? 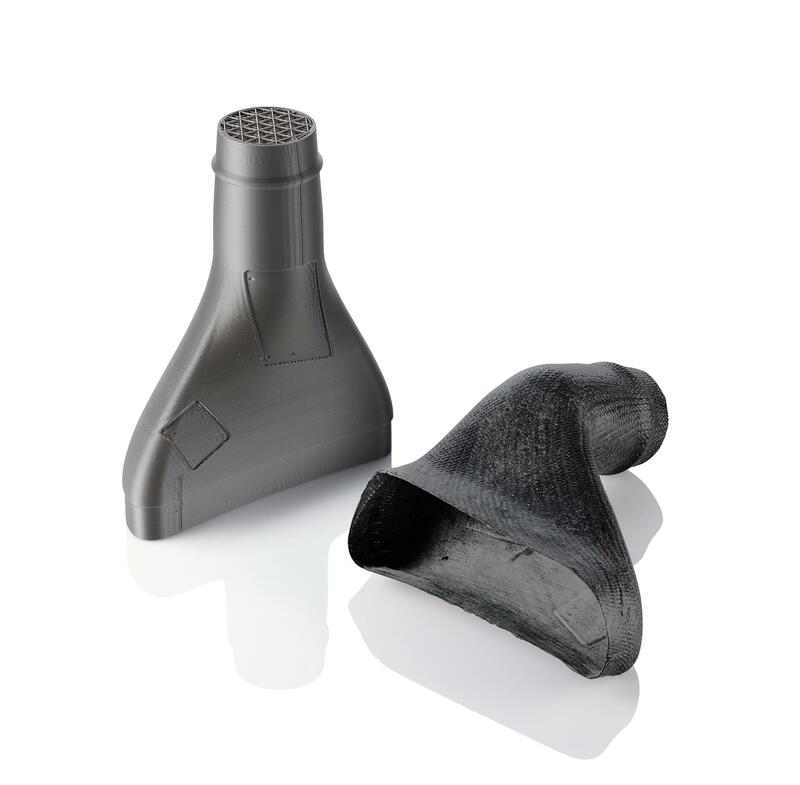 An end-use part carbon fiber tube that looks smooth on the outside and inside—all thanks to 3D printing. From large-scale parts to small scale soluble cores (such as 1mm diameter) can be achieved. Here’s a bit more detail on why this technique is actually better than the traditional method. Ready to learn more? Contact us to discuss how you can create more robust, complex cores that result in composite parts with improved performance and functionality!